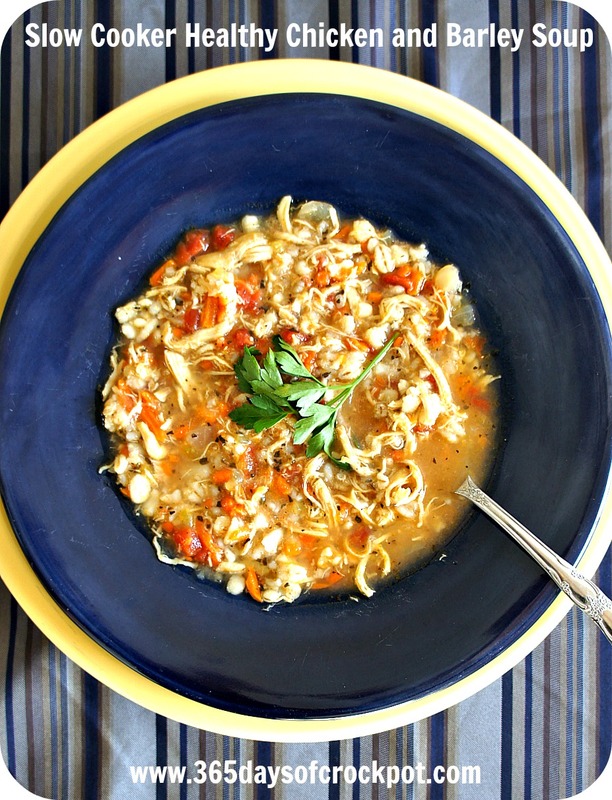 For a healthy but filling meal try out this Slow Cooker Chicken Barley Soup with some crusty bread. It simmers all day for lots of flavor. 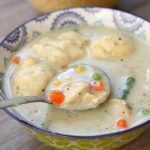 This is a forgiving soup that allows you to use cooked chicken or turkey or raw chicken breasts or thighs. This is one of those soups that fills you up but doesn’t give you the guilt factor. 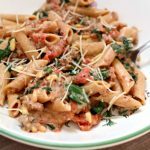 No creams or flours or butters are used in this recipe (not that there’s anything wrong with that…but sometimes I just want to eat a little lighter). 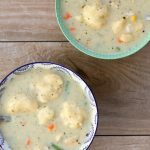 This is one of my favorite soups and it held nicely on warm for a few hours until everybody in my house had cycled through and eaten their dinner. If you’re in a snowstorm like me right try this Slow Cooker Chicken Barley Soup out for dinner tonight! 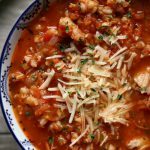 Tomatoes–I used a can of petite diced tomatoes for this soup. However if you want it to have more of a tomato-y base instead of chicken broth base then you can use a can of crushed tomatoes. You can see the difference from this version of the soup versus the crushed tomatoes version here. In a microwave-safe bowl combine the onion, garlic, tomato paste, olive oil, basil, celery and carrots. Microwave for about 4-5 minutes, stirring every minute. Transfer to the slow cooker. Add in the barley, chicken, chicken broth, tomatoes, salt, bay leaf and pepper into the slow cooker. Stir a bit and cover. Cook on LOW for 4-6 hours, until barley is cooked through. Remove the chicken (if it was uncooked) and shred or cut into bite size pieces. Stir the chicken back into the pot. 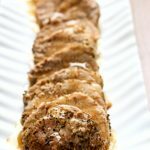 Can we cook the chicken in the slow cooker, shedding halfway through? Yes, I think this would freeze nicely! I have frozen it and it works perfectly!!! 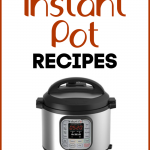 Cooking quicker version on stovetop. Alas, 3 1/2 c. broth didn’t begin to cover the ingredients. I hate to think what would happen if I had added the barley! Are you sure it is 3 1/2 c. broth? yep! But if you want it more brothy you can always add more! 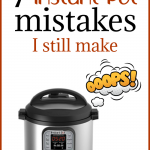 Whenever I search for a slow cooker recipe, I always end up back on you blog. I have leftover Christmas turkey and look forward to making this tonight. Tonight. Fingers crossed. Thanks so much! Do I also see carrots in there? (I'm totally making this tonight… yum!) Thanks!